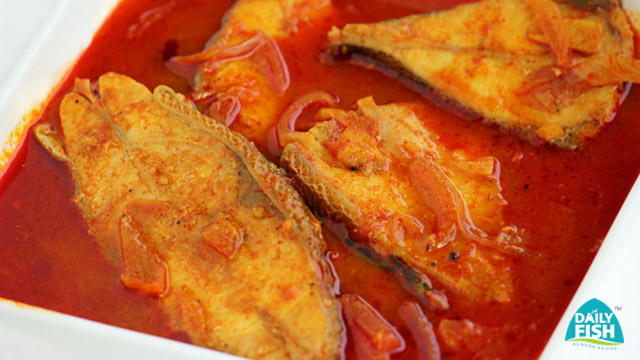 Pomfret curry will make most keralites drool. This is a traditional Kerala style red curry, which is really spicy. 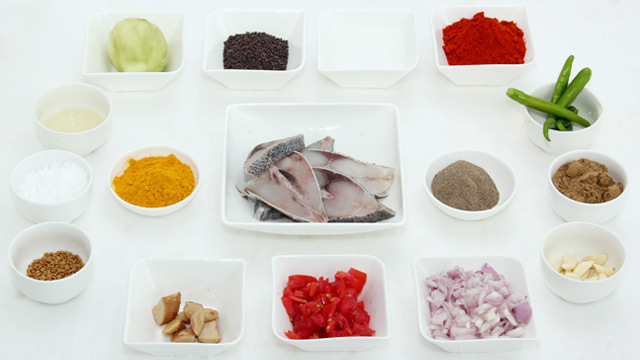 Defrost fish as per instructions and wash.
Heat Oil in a pan and add mustard seeds to crackle. Add onions, green chilli, garlic, ginger and sauté till onions become transparent. Add water and mix all ingredients well. Add fish pieces and tomatoes and boil until fish gets cooked. Before turning off fire add little coconut oil, fenugreek powder and curry leaves.